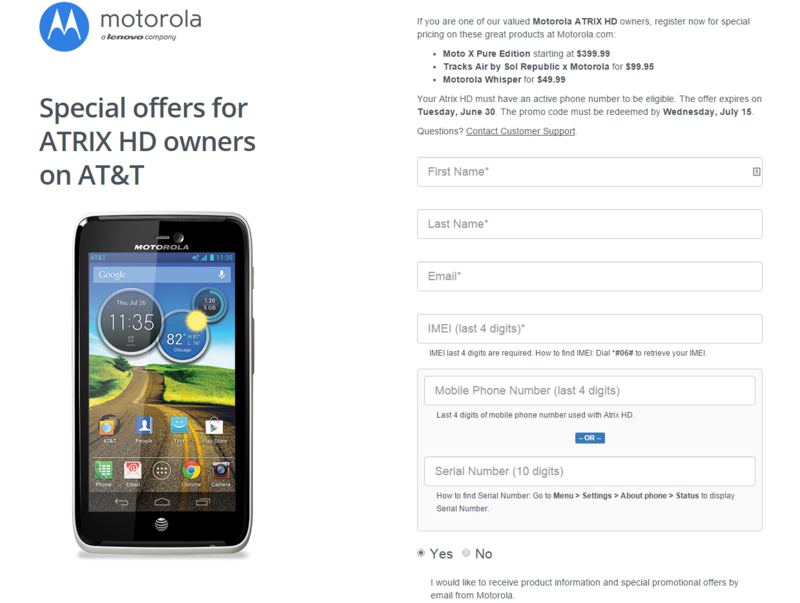 Welcome to the newer, friendlier Motorola, where every would-be Android modder is catered to. 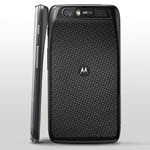 After creating developer editions of both the new Droid RAZR M and Droid RAZR HD for Verizon (the first from the manufacturer-carrier combo since the XOOM) Google's new acquisition is spreading the love to AT&T. 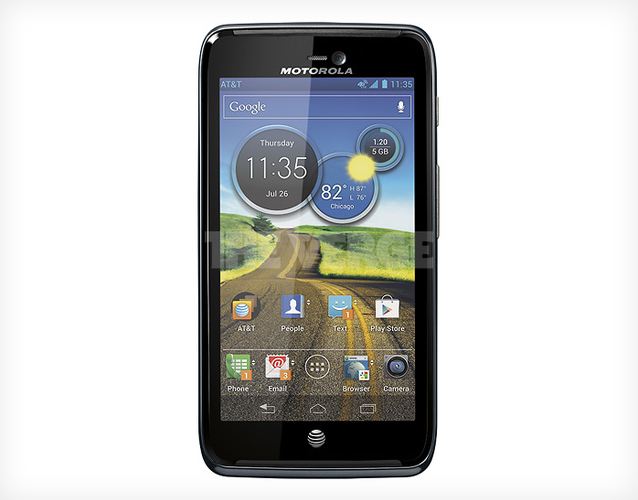 The company announced the ATRIX HD Developer Edition, complete with unlockable bootloader, via its Twitter account today. There's currently no price or date available, beyond the fact that it will be available soon. 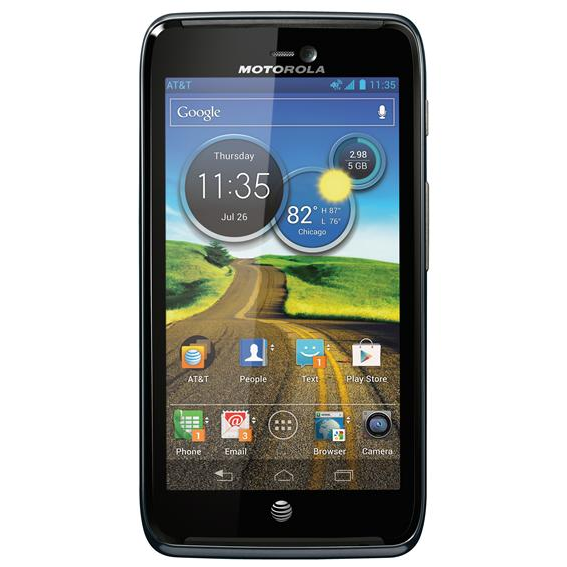 The Atrix HD is probably the best Motorola smartphone on AT&T right now. If you happen to fancy Moto's hardware and are in the market for a new phone on Big Blue, you're in luck: it's now basically free from Amazon Wireless for new contract and upgrading customers. This deal is good for both the white and black versions of the device, so pick your favorite, hit the appropriate link below, and enjoy your new phone. Improvements in WI-FI to allow for stronger connections in more places. The camera changes include improvements for low light performance, reduced blurriness, and better color accuracy. Update: If you have some sort of unholy vendetta against Best Buy and refuse to order anything from there, you'll be glad to know that Amazon now has the same deal. Both white and black versions of the Atrix HD are now $50 for new and existing customers. Well, would you look at that. 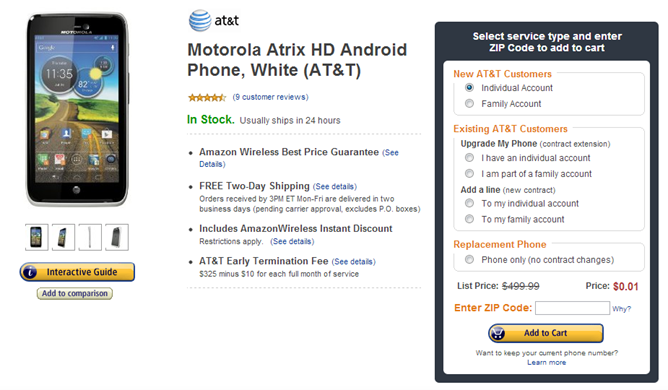 The new Motorola Atrix HD "4G" officially went on sale just today, and Best Buy has already chopped off fully half of its reasonable asking price. 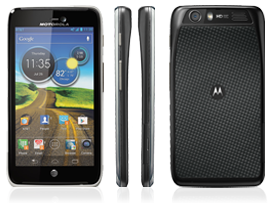 Like the RAZR and RAZR MAXX, the Atrix HD also comes equipped with a Kevlar backing and "splash guard coating," so you should be able to use it to protect yourself from gunfire and take it swimming (Disclaimer: not really.) Motorola has also thrown its Smartactions app into the device, which is basically a Tasker-like solution, albeit not as powerful.